At The Asian Legal Awards we will be supporting the Justice Centre Hong Kong via a silent auction. 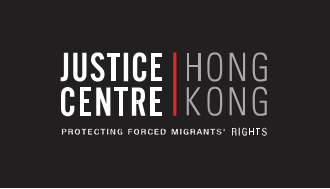 Justice Centre Hong Kong is a non-profit organisation working to protect the rights of Hong Kong’s most vulnerable refugees and survivors of torture, human trafficking and forced labour. Founded in 2007, Justice Centre provides free legal and psychological assistance and welfare support to those seeking protection. We also engage in strategic litigation and policy work to help change the Hong Kong legislative framework for the better. Any donations provided could contribute towards our legal and psychosocial teams working directly with our clients, or towards our policy team to help shape a fairer future. We receive no government funding and instead work alongside a number of leading law firms in pro bono partnership. We are always seeking additional lawyers to join our work, so if your firm would be interested in working with Justice Centre, please do get in touch.